As I’ve now finished my playing career, I find myself reflecting and looking back at the game of cricket and what strikes me is both how much and how little has changed in that time. Cricket is amazing in that the fundamentals have remained pretty much untouched for well over 100 years. The game is still the ultimate contest between bat and ball. For the most part a cricket game 100 years ago looks like a cricket match today – aside from perhaps the bright magenta uniforms I’ve been getting about in lately! It’s that contest between bat and ball that always I loved and I’m sure it’s what keeps cricket as popular as ever the world over. What has changed though is the technology surrounding the game. Bats have gotten bigger, helmets are now state of the art equipment, our playing kits are brightly coloured and feature special materials to help us perform as just some examples from on the field. Technology has certainly changed the way we watch the game. Fans can now get closer than ever before. You can live stream a match being played on the other side of the world, you can watch highlights on your phone whilst you’re sat on the bus and all the stats from the big matches throughout history are available at your fingertips. The game has never been more accessible from that point of view. In my view, it’s also never been as entertaining as it is now. Now my playing days are over and I am stepping more and more into the media and broadcast world, I’m amazed at some of the technology now at our disposal. It’s all designed to take the viewer closer the game and help to explain what’s happening on the field and what players might be thinking and experiencing. Many of these innovations are also home-grown right here in Australia, showing that we’re not only leaders in the sport of cricket, but leaders in technology and innovation too. I have memories as a kid of being able to see exactly how a batsman would scratch out their mark, take guard, tap the bat a few times as they faced up to the bowler steaming in from the other end. Stump Cam was a brilliant innovation in the early 80s with a camera placed inside of the stumps, putting cricket fans quite literally in the middle of the game for the first time. My team mate at the Sixers, Mitchell Starc obviously doesn’t like Stump Cam very much – he did his absolute best to destroy one when we took on the Thunder in the KFC T20 Big Bash League this summer. 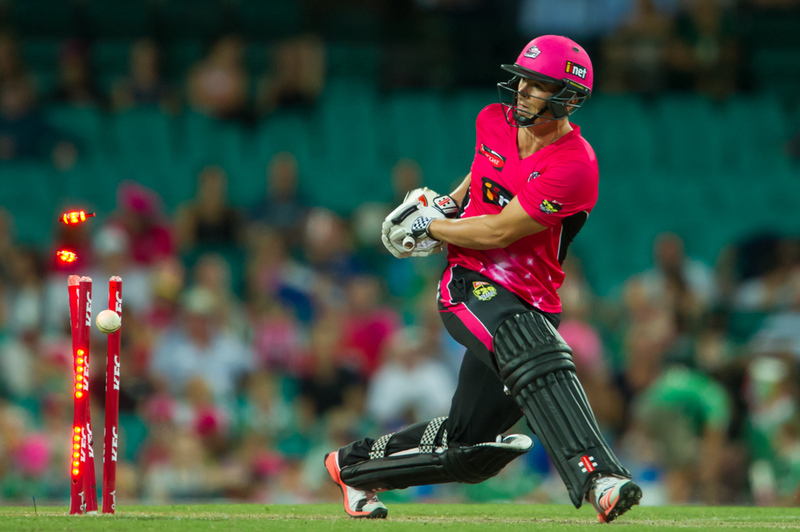 Cameras are now popping up everywhere – umpires have worn cameras at times in recent years and in this year’s Big Bash League you might have seen Kevin Pieterson, Freddie Flintoff and a few others wearing cameras mounted to their helmets. Some of that footage was absolutely incredible, a highlight being Freddie hitting a drive for two and then commentating himself whilst running between wickets! Toyota Spider Cam is the camera that you see zooming around above the field of play. Suspended from a number of wires, Spider Cam is able to get 360 degree angles from all heights. Spider Cam was a bit controversial this summer however with my Sixers mate Steve Smith suggesting one of the wires distracted him from taking a catch against India at the Sydney Cricket Ground. The first big innovation during my career to the broadcast was ‘Snicko’. 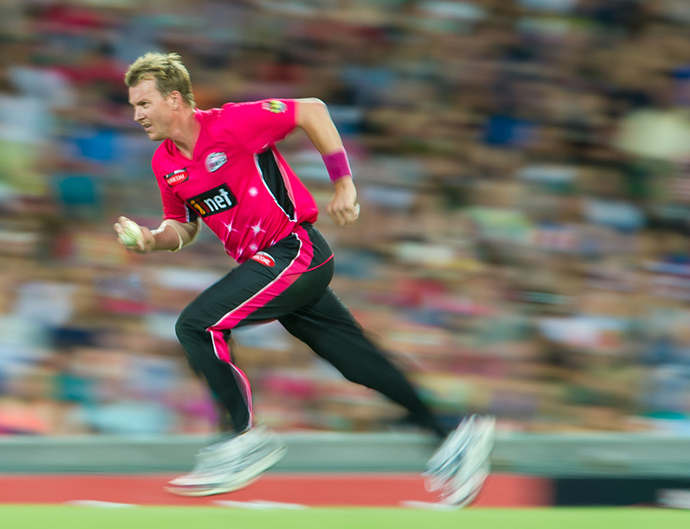 A ball travelling at 150km per hour is through the batsman and to the keeper in a blink of an eye. Sometimes there’ll be a noise as the ball whizzes past and an umpire might not be sure if it has caught the edge of the bat or something else has made the noise. Enter Snicko. Snicko uses a specially designed, highly precise microphone placed inside one of the stumps. The microphone is able to pick up nearby sounds and when Snicko is used in combination with super-slow mo vision, we can determine exactly when any sound happens as the ball passes the batsman. Snicko is great in being able to highlight when a ball glances an edge or catches a glove, or if the bat has touched a pad or maybe brushed the ground. Snicko was developed here in Australia. Hawkeye came in the early 2000s. Hawkeye can track the path of a delivery and using virtual reality, recreate that delivery using 3D graphics. For the viewer at home this allows for more sophisticated and relevant statistics to be developed such as pitch maps, wagon wheels, spin deviations to name just a few. The greatest advancement that Hawkeye allowed though was to be able to predict and review LBW appeals, to the point where Hawkeye is now an invaluable tool for umpires and commentators alike. Fans now expect to be able to see when an umpire has made the right decision or not. I’m not 100% convinced that Hawkeye is always right – whenever I was bowling and I appealed for leg-before and it was not given out, it was always clearly going to hit about half way up middle stump, despite what the Hawkeye review might have suggested. I can’t have been wrong all the time! Hot Spot uses infrared technology which detects heat. When a ball comes into contact with an edge of a glove or a pad, the impact makes that particular spot hotter than the surrounding areas, and Hot Spot is able to pick this up. Hot Spot means that you can actually see exactly where the ball has hit the edge of the bat, or not. When combined with Snicko, it helps what are always difficult decisions for umpires that little bit easier. Hot Spot was another Aussie first! 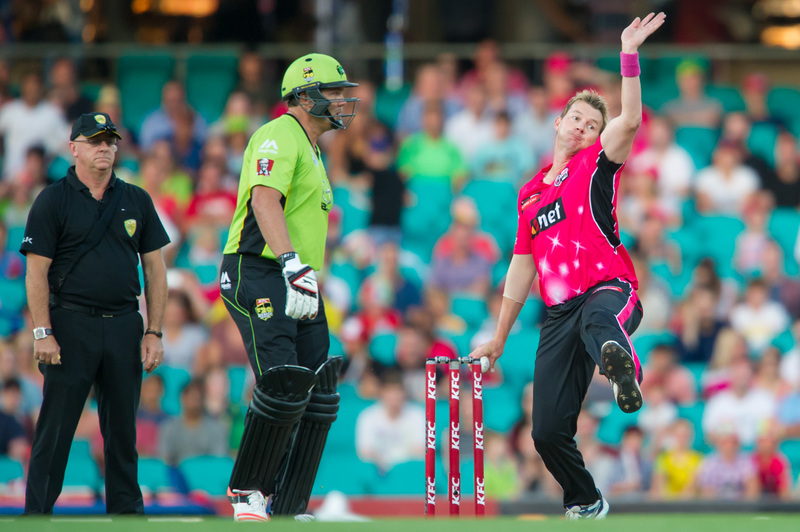 One of my favourite innovations has been the Zing bails and stumps that are used in the KFC T20 Big Bash League. As a fast bowler, I love nothing more than to see the stumps knocked over and the bails flying, and the Zing stumps with their bright LEDs that light up and flash when they are disturbed is a fantastic sight to see! 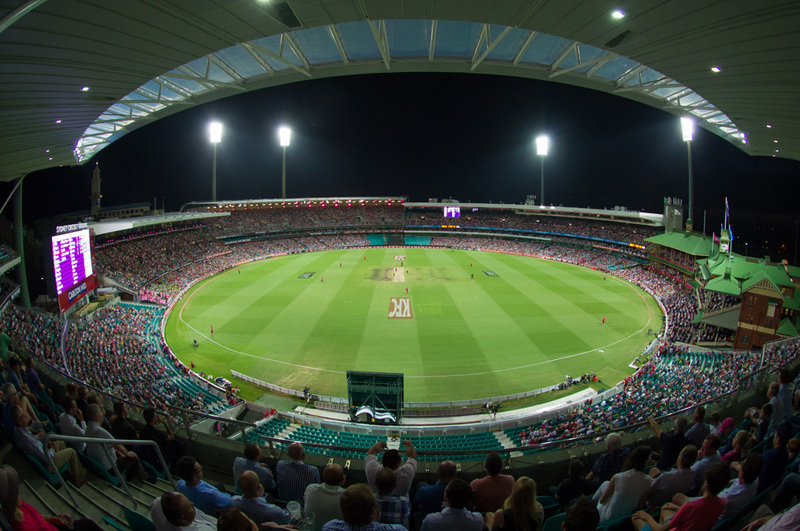 The Big Bash League is all about energy and excitement, and the Zing stumps add to that by making it easy to see both in ground and at home when the stumps are knocked over. The system itself is actually quite sophisticated and each set works as a whole so that even if only one bail is dislodged, the whole set lights up. It does this by using sensors within the bails that can detect to within 1/1000th of a second when they are disturbed before sending a radio signal to the stumps to light up also. The best bit? Zing bails and stumps were developed right here in Australia. So now that my playing career is over, I’m looking forward to being able to enjoy these and the next big innovations in cricket technology. But what I’ll really love, is that even with these innovations and enhancements, you know that the game of cricket itself will stay fundamentally the same. 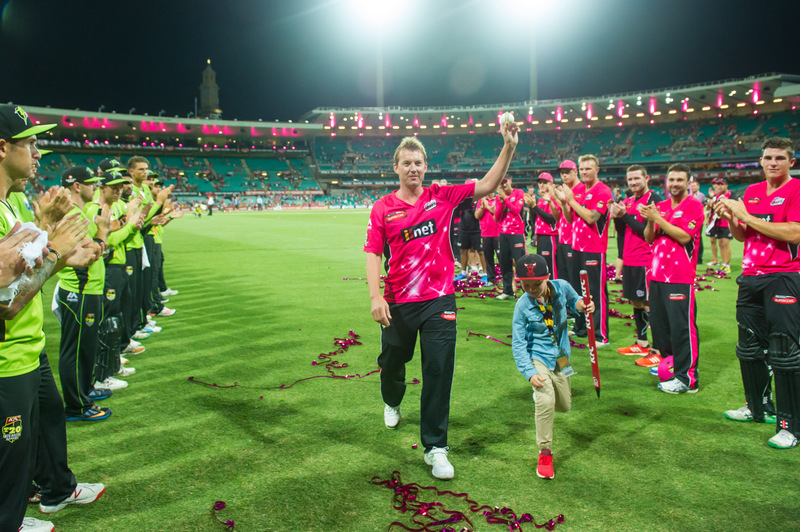 Brett Lee specialised in giving batsmen nightmares by bowling extremely quickly for the Sydney Sixers, NSW Blues and Australia over a twenty year career. Great article Brett! Unfortunately my contract is not up for renewal for over 12 months, so I will miss out on a signed shirt – very disappointing as I have followed your career since you first started playing for the Australian team :-(. I agree with your comments re hawkeye – with 2 of my son’s having played in the local First X1, one a pace bowler, the other spin, those decisions are too hard for even technology to call!! I suppose you don’t have any stories from cricketers from other States, given that the NSW Cricket Board (or equivalent) selects the Australian teams which always contain at least half the team made up of New South Welshmen. Enjoyed reading your post, however, as a lifelong cricket tragic i can’t say i agree with your comments regarding new technology. I find it almost impossible to watch the game on tv any more. The bombardment of gimmicky charts, meaningless stats, endless replays etc etc, has not only destroyed the flow of the game, made the umpire hardly more than a spectator, but worst of all, dumbed down the sport i love. Or is it now just a ‘product’ as so many tv commentators refer to it?